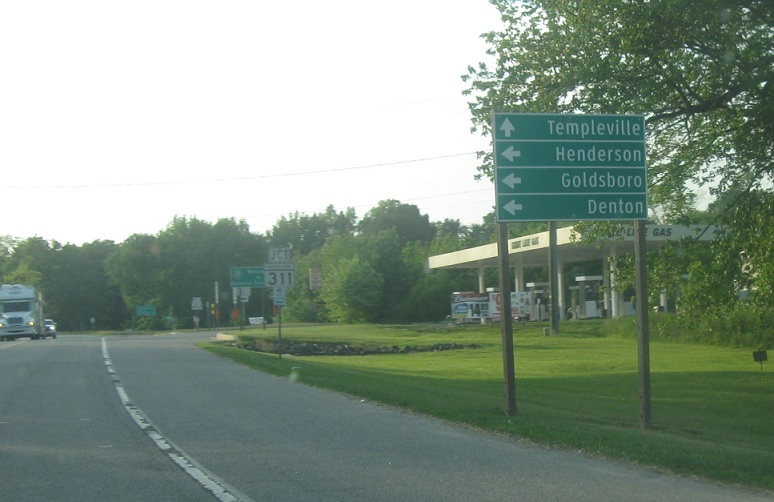 Immediately after we cross the state line, we’ll approach MD 311. Before that, though, we’ll also approach unsigned MD 821. Turn left right here for MD 821, which serves as an unsigned business loop of sorts through Marydel. The green sign in this photo is for MD 311.